Picture Books for the First Week of School! I know it's mid summer and you are probably not thinking about the beginning of school quite yet, but you might be. And if you need to purchase any of these books then you have the rest of the summer to decide about it. I also know this is a science blog, but y'all I taught a regular third grade class for 17 years, so I know a little something about reading aloud to kids! 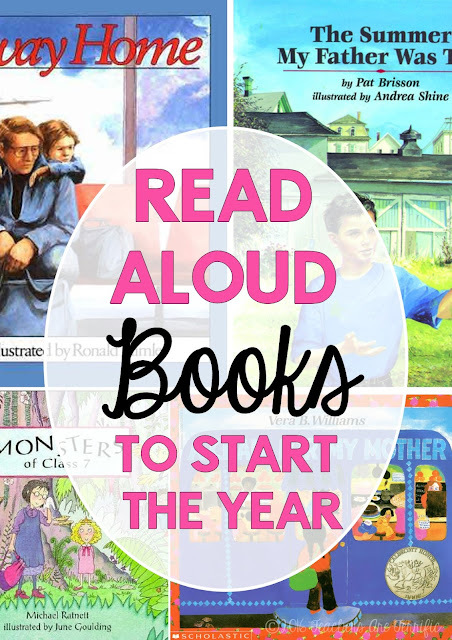 So, the question is: What picture books do you read aloud the first week of school??? 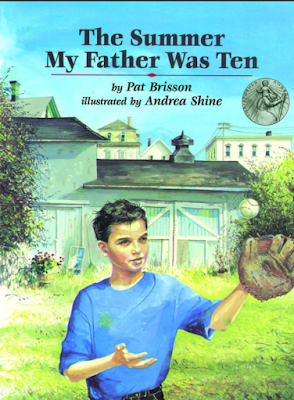 FIRST, and always on the first day of school I read The Summer My Father Was Ten by Pat Brisson. This is the story of a dad that tells his daughter the same story every summer as they plant a garden. When he was a boy he and his friends ruined the garden planted by a neighbor named Mr. Bellavista. The man was an immigrant and lonely, but after the garden incident was befriended by the young boy. Every year they planted a garden together, made spaghetti sauce, and listened to opera. The boy's family became Mr. Bellavista's family. Later, when Mr. Bellavista has to go away to a nursing home the boy visits him anyway and promises to plant a garden when Mr. Bellavista comes home. But he never comes home. So, you ask, WHY on earth do I read this book. It's all about community. I start the year building community and teamwork from day one. 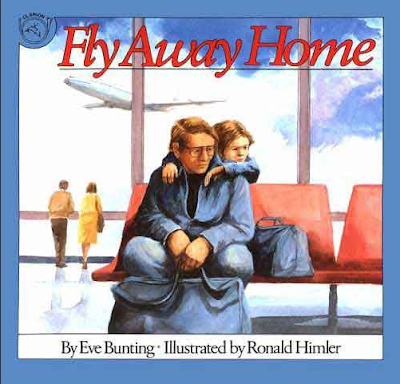 This book touches the heart of every kid in the room. The drawings are wonderful and you cannot help but feel the pain and then the joy on Mr. Bellavista's face. We refer back to this book often during the year, so I know it makes an impact. 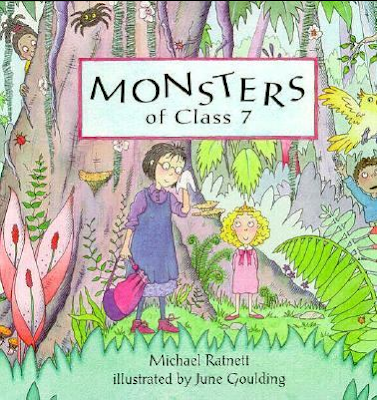 It grabs the kids right on day one and then they know that every book I read will have a special quality. I think it helps cement that our circle time is a major event and one that brings meaning and the spirit of community into our room. It's the story of Princess Priscilla's visit to a room of misbehaving children. It turns out that she takes the class on a field trip to Mars where the children learn how to behave. Quite funny; kids love it because the children in it are so bad! The talks we have after this book is read are truly amazing. You cannot help but think of your own family, home, school, etc. when you read about a little boy that bathes in an airport bathroom. It's a community builder, but I also use it to talk about the schema we need to understand a book. Book Four: Another community builder! 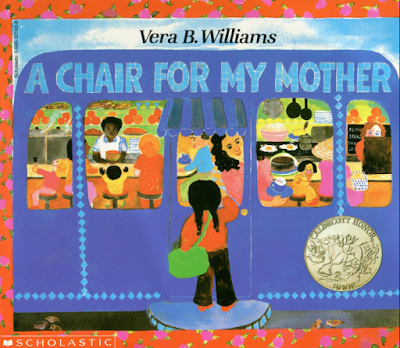 This one is A Chair for My Mother by Vera B. Williams. This is the story of a girl, her mom, and grandmom. Their furniture was destroyed in a house fire. Even though their neighbors have pitched in to help with replacements, they still need a comfy chair they can all enjoy. So, they are saving coins in a jar. When the jar is full they can buy a new chair. Again, it's about teamwork, sacrifice, joining together, family, community. These are the main books I read every year. They are profound stories that helped bring us close together as the family we were for 180 days! *Note: The book covers are linked to Amazon for your convenience, but I am not receiving compensation for this.